Tired of being one of 4 people on the subway with the same H&M shirt? Custom t-shirts can send a message, display your sense of humor, or simply let strangers get a glimpse into who you are without speaking a word. Everything from advertising your band or business, to political views. We believe custom printing is the ultimate way to fuse your creativity with fashion. 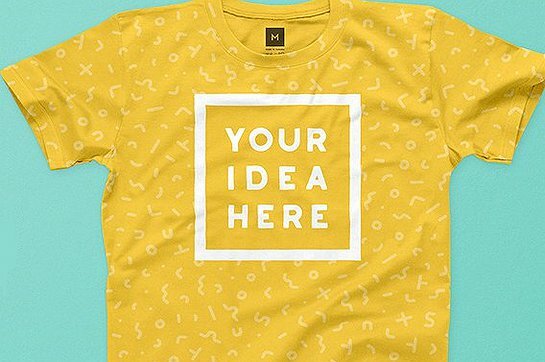 If you have a killer idea for a custom t-shirt, we’ll help you to achieve professional printing results that will not only look awesome but stand the test of time in your washing machine too!! If you’re reading this article, you’re probably close by. Visit us at 527 Yonge St. – Toronto or 557 Queen W, Toronto to get your hands on that new shirt in about 5 minutes flat. Going to a concert? You think Drake’s going to take a marriage proposal seriously when it’s on bristol-board in glitter? We think not. How about a batchelor or batchelorette night? Will you let Amazon tell you what to make your best-friend-groom-to-be wear? Or, will you come up with a truly hilarious inside joke your whole crew will appreciate like a hero? There is a world of opportunity out there for you my friend – and we’re here to make you look good! If you’re ordering more than 4 shirts and don’t want to wait for them, please call us and we can have them pre printed for you. Our turnaround time for bulk orders is still the fastest in the city, but it does take a bit longer than a single order. File Preparation is key for achieving optimal results when it comes to the look of your tee. the artwork you want put onto your shirt. All files should be at least 300 ppi or Vector Format. If your file is not already 300 ppi, increasing the resolution of the file after will not work. This will just result in a blurry image. software, size your image to the size you want it to print. We suggest using a measuring tape on a t-shirt with an image you already love, then using those dimensions. Don’t know what any of that means? Don’t worry! Everyone at our shops has a graphic design background and extensive experience. Just bring your idea in, or better yet call in to one of our locations and someone from our staff will be happy to help. Can’t make it downtown? No problem, you can design your customized tee shirt online. Just like in store you will be able to upload artwork, pick out your favorite shirt from our collection, colour of the shirt and colour of your lettering/numbering you want on your shirt. From there we make your custom t-shirt and ship it to you. Purchasing 4 or more shirts? We’ll ship your order for free. Toronto tees has been voted as one of the best places in Toronto to get a customized tee in Toronto by BlogTO. Come in and let us show you why!